There's a site about WHAT??? As one of the largest free dating directories, A Greater Date receives requests for inclusion on a daily basis. Occasionally, a personals site is submitted that is truly unusual, or focused on a very specific interest group. The sites listed in this section are viewed to be unusual & different within the online dating area. Some people win the genetic lottery, while some choose to modify what they were 'given' at birth. If you are OK with having a nose job, or breast implants, and you are looking for a welcoming community that understands and appreciates the desire to better oneself aethetically, Surgically Improved is the site for you. Join for free and check out the variety of features available. "No Longer Lonely, a safe, secure, and free way for adults with serious mental illness to find companionsihp. Membership is reserved solely for those with a diagnosis of schizophrenia, bipolar disorder, depression, obsessive-compulsive disorder, anxiety, personality disorder, or eating disorder. This site presumes a certain level of recovery." NOTE: Anyone considering membership is strongly encouraged to first consult with their psychiatrist and/or social worker. Gardening Passions is a site for singles with a passion for gardening, where people can share gardening tips, while looking for a match. Boating Passions is a site for singles with a passion for boating. Whether you enjoy sailing, fishing, yachting, or cruising, Boating Passions is the site for you. "Whether you�re looking for a date in Los Angeles, a business networking partner in Tokyo, or just someone to share a cab from Kennedy to Midtown, look no further. You�ve found AirTroductions�." A unique site focused on travelers and the connections between them. "A Contemporary Character Design Community." Ok, this site is just plain COOL. It's not so much a dating site, as a community of designers. 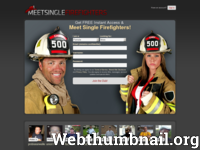 They do offer the ability to create your own profile, so if design is your thing, sign up & maybe you'll meet someone you click with. An actual dating site for clowns and people in the circus industry. Got A Sense of Humor?